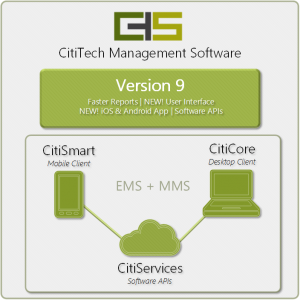 CitiTech has dramatically improved performance …. The good news: You can make your CMS screens look and behave the way you want them to! Hello! We here at CitiTech Systems are still working diligently on the next awesome evolution of our software, “CitiCore”, but we’ve also decided to tackle some user requests for enhancements to our current version, CMS 8.5. See the “What’s New?” topic to check out some of the improvements that are making our software better. To our amazing Beta Testers: don’t worry, I haven’t forgotten you. I have a list of you, and will contact you once we release our “Beta” version of CitiCore, Version 9. Promise. CitiTech has dramatically improved performance relating to how CMS queries data to deliver information based on user requests. Because CMS is highly-normalized and relational, data queries sent to the database engine had to account for multi-level “relationships” with specific arguments or parameters set by the user or from within CMS’s business logic. For example, a query to show all the work orders or work reports relating to pothole repair on a certain road within a certain management unit during a specified period of time could result in a very lengthy SQL query statement and heavy network traffic. Occasionally, the query (which could literally be pages long) would exceed the database engine’s ability to parse and execute the query, resulting in a “time out”, “no data” or other error message. These queries also caused significant post-processing on the client machine to fine-tune the results and only deliver the desired results. CMS’s data manager has been improved to optimize the statements sent to the server to improve performance and resolve this issue. As a result, users can send search requests using Advanced Find or the Data Browser that mine data held by child records several layers/generations deeper than the main record. In the past, the query would return all the parent records and their child records that had to be post-processed. This change resulted in shorter SQL statements and data mining occurring on the data engine (server), rather than the client machine. There are still some limitations on the amount of data that can be held in a memory dataset (cache) resulting from these queries, but this limitation will be eased when CMS moves to later versions of the .NET Framework. 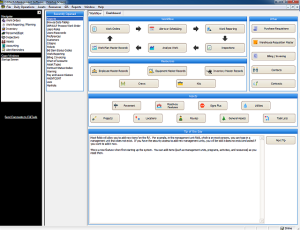 Moving from its current .NET platform to the latest version would cause users to make changes to their computers using CMS and CitiTech decided not to inconvenience users until Version 9 is released. In any case, even with this restriction, performance and user queries are improved with this new approach to how data is delivered to the user. Coming In The Future… Version 9! We are further along in our quest to produce easy to use, knock-your-socks-off software with fast reporting. Our new version will be called “CitiCore” software, and will have all the features you love – only better. Some modules have expanded accessibility, some have expanded functionality, some have improved performance, and some will be new to CitiCore! Watch for our announcement of release. What’s New? New enhancements to our current version of CMS! Our users frequently suggest great ideas for improvements, and sometimes even new functionality – and we listen. Our latest post contains so many enhancements that I can’t list them all – but, here are a few: we have added a new tab to the Startup Screen, called “Workflow”. For reports, new fields exist in Work Order reports (like the Work Order List report and the Work Order History reports), and several new reports exist (like a new Work Order History report with details, a new Signs Plus alert report, a new Blank Crew Time Card report, and new reports that show both Alternate rates and Actual rates, allowing for comparison). Additionally, we’ve “rebuilt” the Reports menu to ensure all our users have all our reports – so, you may see new reports – or whole new sections of reports! “Cost By Activity” and “Cost Trend” buttons will now prompt you for a date range (instead of giving you “the last year” automatically). Key combinations include a new one for Windows 7 users to help them move from Tab to Tab, and new key combinations inside the Report Viewer. A new “Save” button exists in Preferences. For Work Orders, users can now see the “Work Order Completion Date” on the screen, and the Work Order number is shown on the “Request” tab. Additionally, new fields exist in QBE controls (on the “Advanced” find tab of Work Orders) – AND, re-sizing the controls/sections is easier! We also “remember” the new Work Order, while users have a choice between it and a possible match to an existing one. Other general improvements include remembering which tab you were on last, in the “Find” functionality, a new “Select All” checkbox for Activities using Templates, and alphabetical order for Roles in Templates for ease of use with “Groups”. Our users can now archive LRS information. We have also expanded some fields in Triggers. In some cases, we’ve expanded choices in the “Quick Search” dropdown. We made improvements to the “Inspections” screen, to “CitiSmart” (work order dispatcher) functionality, and also made aesthetic changes to the handheld screen. If you’re not seeing these changes, I encourage you to update CMS, or request that your I.T. department do so, as appropriate. Thanks for your input, and keep those suggestions coming! A: “Yes, for many items, you can change groups of them, or all of them. For example, “Bulk Pay Rates Update” and “Bulk Equipment Rates Update” will change some (or all) Employee Pay rates or Equipment Rates. “Update Vacation / Sick Time” will add whatever should be accrued to the “Accrued” columns of ALL employees. “Inventory Post” will update average cost for one (or all) inventory items. “Verify Data” will check and correct orphan inventory records, inventory usage records, incorrect work report records, and more. Did you know? An interface to your data exists that allows you to directly affect records! It’s called “Batch Update”. You must be in a Role that permits access to it, and some knowledge of SQL is required, so we recommend you call us; we’ll help you write the SQL that will meet your needs – but it will save you LOTS of time. It works best for many records that should be affected using one SQL statement, not for individual records that each need to change – unless you want them all to change to contain the same value. Here’s an example (but only an example – don’t try this at home): You recently discovered that several of your employees don’t have a pay rate (it’s 0). You could access each employee record and enter a pay rate. OR, you could issue SQL in Batch Update to update ALL employees whose pay rate is 0, at one time, like this: “UPDATE Persmast SET Pay_rate = 10.50 WHERE Pay_rate=0”. This SQL statement will update ALL of the employees pay rate to $10.50 whose current pay rate is $0.00. Notice that they ALL got the same new pay rate. And as you can see, the WHERE part is important! Without it, ALL employee records would be changed to have a pay rate of $10.50! So, we urge you to call and request assistance writing your SQL statements. The better news: You can create multiple templates for each screen; and, each can have its own group of users. The best news: You already own this functionality! There is no separate charge for it, and it applies to most modules. As one example of taking advantage of Templates, you could create different Work Order screens. One could be for the mechanics to use for equipment PMs – and you could DEFAULT the department to “FLEET” (and optionally DISABLE that field), get rid of the “Citizen” section on the Request tab, and limit it to only FLEET activities (such as Brake Repair, Preventative Maintenance, Equipment Inspection, and Change Oil) and only to the “Mechanics” group. Another Work Order could be for the Road Department – and you could DEFAULT the department to “ROAD” and you could limit to only ROAD activities (such as Grade, Pave, Patch Pothole, Resurface, and Striping) and to only “Road Maintenance Workers”. A third Work Order template could be for the Park Department Work Orders, and so on. Templates let you specify REQUIRED FIELDS (fields that are required to be filled out before you can save the record). You can also allow or deny access to the DEFAULT (original) screen for these groups, and also print reports for “only items in Template X”. Learn more about Templates by reading the HELP file “user-defined forms”. Sound asset maintenance will allow your organization to reduce maintenance costs, minimize unscheduled downtime, improve service reliability, and extend the lifecycle of your assets. Know exactly what assets you have and/or maintain. You can do a physical inventory and hand-enter them, or (for users with GIS systems or other electronic media) import them. Know precisely where those assets are located. If you are driving around creating a list of assets, use a laptop with a dongle to get exact GPS coordinates – or note LRS information such as Route Type, County, Route, and mile markers. Know what condition your assets are in at any given time. Use the Inspections module to quantify condition. Understand the design criteria of your assets, and how they are to be properly operated and under what conditions. Develop an asset care/maintenance program that assures that each asset performs reliably (“reliability”) when it is needed (“availability”). Being “proactive” instead of “reactive” generally costs less – up to half or a third of the cost (in terms of labor, parts & materials, and loss of service). Regular inspections, effective preventative maintenance, and other predictive technologies find problems before they occur, but takes some structure and continuous monitoring. Acknowledge and perform all of the above activities to optimize the costs of operating your assets and to extend their useful life at least to, if not beyond, what the initial design and installation specified. In order to optimize operation costs, two points are suggested. First, establish key performance indicators (KPIs) for the asset care processes. This allows you to monitor and determine things like jobs in backlog, jobs scheduled, emergency jobs completed, percentage of emergency jobs, scheduled jobs completed, and schedule compliance. Second, collect the right kinds of data, at the right time, in a consistent format that allows management staff to make data-informed decisions versus best guesses. In order to know where and how asset care (maintenance) dollars are being spent, your CMS needs enough information in sufficient detail to decide whether to repair, refurbish, or replace a given asset. Use Annual Work Plans to plan and schedule work on the assets, Inspections to create Work Orders, and Work Scheduling to schedule work. Work identification and control – your own cardinal rules. Although Work Orders are not required in CMS to report work, some users would choose to institute rules such as “No Work Order, No Work”, “No Work Order, No Parts”, and “No Parts, No Work”. Job planning – provides benefits such as quicker repairs on prescheduled work, projects, and other tasks – and less downtime, more uptime of systems and equipment. Work order scheduling – schedule work to be performed. Consider scheduling work according to three general categories: “Right Now” (for emergencies, unplanned outages, environmental or safety hazards, etc. 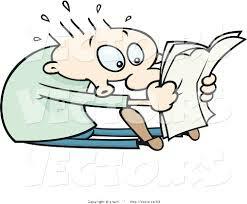 ), “Near Future” (sometime in the next few hours or days), and “Distant Future” (more than a week out). The last category allows more effective planning to minimize the time, materials, and downtime requirements necessary to get the right work done right, at the right cost, and at the right time. Preventative/predictive optimization – balance and optimize priorities, providing “value” for the time and effort they require. Materials coordination – having the right parts and materials on-hand saves time. Having enough (but not too much) on-hand helps you avoid unnecessary storage and handling costs, spot buying, overnight freight charges, and downtime. Being proactive can help you determine which parts to keep in stock and which can be ordered later. Scheduled outage/shutdown coordination – knowing in advance which asset(s) you will be working on allows you to coordinate system shutdown and notify the public well in advance of the scheduled work. Using a sound asset maintenance management strategy makes sense from an organization standpoint, making the goal of extending the lifecycle of assets while reducing maintenance costs achievable. It makes sense from a management standpoint, as well, since unscheduled downtime is minimized. Citizens will also appreciate the improved service reliability and advance notice for outages. Everyone wins!